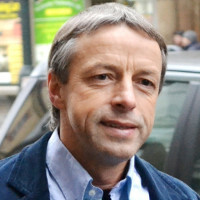 Pavel Bém is a Czech politician, Member of the Chamber of Deputies of the Parliament of the Czech Republic since 2010 and former Mayor of the City of Prague. He is also a Member of The National Drug Commission – Office of the Government of the Czech Republic in Cabinet of Prime Minister. Bém studied medicine at Charles University in Prague, specialising in psychiatry and subsequently devoting most of his career in medicine to drug abuse prevention and treatment. Since 1998 active as a politician (Civic Democratic Party), started as Mayor of Prague 6 District, followed by two terms of office as Mayor of the City of Prague. His other interests include mountaineering, scuba diving and piano playing.